Full concert arrangements make this an excellent choice for men's groups. Includes: Muddy Water (Big River), Memory (Cats), Kansas City (Oklahoma! ), The Impossible Dream (Man of La Mancha), Bring Him Home (Les Misérables, also available as a single). Available: TTBB. Full concert arrangements make this collection an incredible value and an excellent choice for your women's chorus. Songs include: Handful of Keys (Ain't Misbehavin'), I Cain't Say No (Oklahoma! ), The Impossible Dream (Man of La Mancha), Memory (Cats), With a Song in My Heart (Spring is Here). Beautiful harmonies and a lyrical melody combine to make "Once Upon A Time" a true classic. Recorded by many artists including Tony Bennett, Frank Sinatra and Bobby Darrin, the song was featured in the Broadway production of All American. The touching standard " Till There Was You", from The Music Man, in a beautiful a cappella setting by Kirby Shaw with jazz harmonies that will enchant both your singers and your audience. "If Ever I Would Leave You " is one of the top Broadway love ballads of all time, and this arrangement is a natural for a cappella women. Fantastic lyrics offer unique opportunities for lyric expression. The new setting of "Memory" from the pen of former King's Singers Philip Lawson has sensitive harmony and thoughtful voice-leading making this Broadway chestnut a winner! 30-song collection for voice and piano, with special attention paid to singer-friendly keys. Includes: All I Ask of You - Don't Cry for Me Argentina - Memory - Think of Me - Unexpected Song - You Must Love Me - and more. Includes: Any Dream Will Do - King Herod's Song - Love Changes Everything - Memory - On This Night of a Thousand Stars - Whistle Down the Wind - and more. Andrew Lloyd Webber has written gorgeous and affecting ballads for the female leads in his musicals. This collection showcases the best, with interpretations by such superstars as Barbra Streisand, Madonna, Sarah Brightman, Betty Buckley, and others. This great new collection lets singers become part of a full choir and sing along with some of the most-loved songs of all time. Each book includes SATB parts and the accompanying CD features full, professionally recorded performances. Now you just need to turn on the CD, open the book, pick your part, and SING ALONG WITH THE CHOIR! This collection features eight songs by Andrew Lloyd Webber. Features 19 songs from the beloved Andrew Lloyd Webber classic: The Ad-dressing of Cats - The Ballad of Billy M'Caw - Bustopher Jones: The Cat About Town - Grizabella: The Glamour Gat - Growltiger's Last Stand - Gus: The Theatre Cat - Jellicle Songs for Jellicle Cats - The Journey to the Heavyside Layer - Macavity: The Mystery Cat - Memory - Mr. Mistoffelees - Mungojerrie and Rumpleteazer - The Naming of Cats - Old Deuteronomy - The Old Gumbie Cat - Overture - The Rum Tum Tugger - Skimbleshanks: The Railway Cat - The Song of the Jellicles. 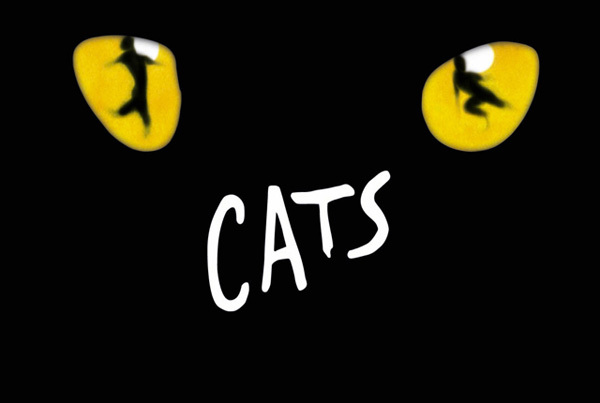 This outstanding collection features ten top songs from Andrew Lloyd Webber's beloved musical: The Ad-dressing of Cats - Bustopher Jones: The Cat About Town - Gus: The Theatre Cat - Jellicle Songs for Jellicle Cats - The Journey to the Heavyside Layer - Memory - Mr. Mistoffelees - Old Deuteronomy - The Old Gumbie Cat - Skimbleshanks: The Railway. This outstanding collection features 41 songs from his best loved productions: All I Ask of You - Any Dream Will Do - As If We Never Said Goodbye - Don't Cry for Me Argentina - I Don't Know How to Love Him - Memory - The Music of the Night - The Phantom of the Opera - Pie Jesu - Starlight Sequence - Superstar - Think of Me - Too Much in Love to Care - Unexpected Song - more. Andrew Lloyd Webber is the undisputable king of the modern Broadway blockbuster, with shows such as Evita, Jesus Christ Superstar, Joseph & the Amazing Technicolor Dreamcoat, Phantom of the Opera, Cats and many more under his musical belt. This songbook is the matching folio to his celebrity singer-studded greatest hits collection featuring 18 songs spanning his entire career. Includes: All I Ask of You - Any Dream Will Do - As If We Never Said Goodbye - Don't Cry for Me Argentina - Love Changes Everything - Memory - The Phantom of the Opera - Superstar - You Must Love Me - and more. This revised edition has been expanded to include over 60 Lloyd Webber songs, including: All I Ask of You - Buenos Aires - Close Every Door - Don't Cry for Me Argentina - Gus: the Theatre Cat - I Don't Know How to Love Him - Love Changes Everything - Memory - Oh, What a Circus - The Phantom of the Opera - Pie Jesu - Starlight Express - Tell Me on a Sunday - Unexpected Song - Whistle Down the Wind - You Must Love Me - and more. Includes 25 full-color pages, plus a bio, photo of Lloyd Webber, and table of contents by song and by show. Actress/singer/director/writer/composer/producer/designer/activist/philanthropist Barbra Streisand is the only artist ever to receive Oscar, Tony, Emmy, Grammy, Directors Guild of America, Golden Globe, National Endowment for the Arts and Peabody Awards, as well as the American Film Institute's Lifetime Achievement Award. She is also the first female film director to receive the Kennedy Center Honors. She won Oscars for both Best Actress and Best Song Composer, and the three films she directed received 14 Oscar nominations. A leading film star in dramas, comedies and musicals, her latest film became the top-grossing live-action comedy ever. Here's the matching folio to the fabulous best-of collection featuring 40 Streisand classics! Our matching folio to the Holiday release by this golden-voiced superstar - Streisand's first Christmas record in three-and-a-half decades - features emotional renditions of a dozen holiday favorites. Includes I Remember, reworked for Barbra by composer Stephen Sondheim, and: Ave Maria - A Christmas Love Song - Christmas Lullaby - Christmas Mem'ries - Closer - Grown-Up Christmas List - I'll Be Home for Christmas - It Must Have Been the Mistletoe - One God - Snowbound - What Are You Doing New Year's Eve?. Includes photos and an introductory note from Barbra. An absolute must for all Manilow fans, this great collection features 53 of his best songs, divided chronologically by album, with Barry's personal insights on each release. Includes candid photos, and the hits: Can't Smile Without You - Copacabana (At the Copa) - Could It Be Magic - Even Now - I Made It Through the Rain - I Write the Songs - Looks Like We Made It - Mandy - Ships - This One's for You - Weekend in New England - many more! Songs in authentic versions, chosen especially for teens, with introductory notes about shows and plots; recorded accompaniment CDs are included. The Mezzo-Soprano/Alto edition features 36 songs. 39 songs, including: Diamonds Are a Girl's Best Friend ¥ Don't Cry For Me Argentina ¥ I Ain't Down Yet ¥ Losing My Mind ¥ Memory ¥ Send in the Clowns ¥ and many more. 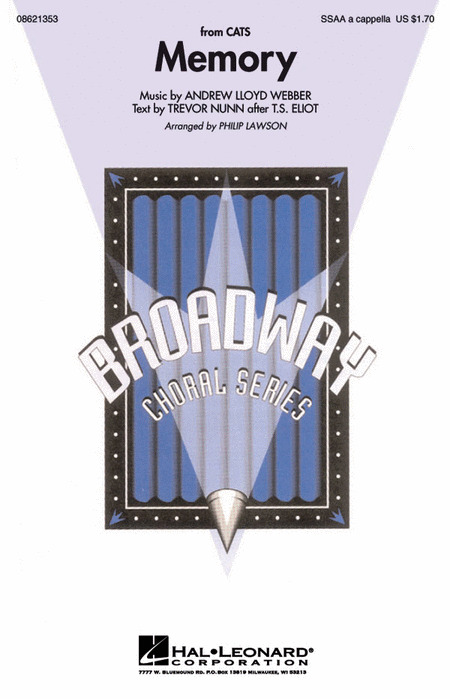 One of the most popular Broadway selections of all time, this setting incorporates a full, traditional vocal sound and an expanded accompaniment that will be a wonderful program addition for concert and community choirs. This new setting from the pen of Philip Lawson will thrill both performers and audience. Sensitive harmony and thoughtful voice-leading make this a winner!